Hello ... Hello ... my old friends ... It's great to see you once again! 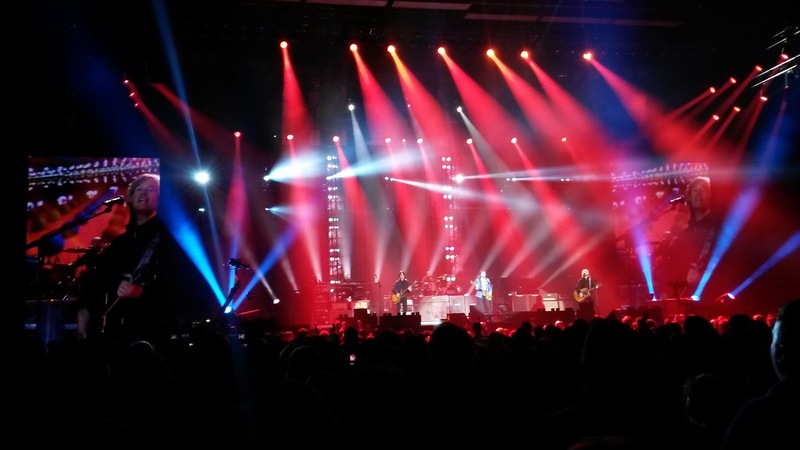 I really had to pinch myself as I sat patiently waiting for the arrival of Paul McCartney at The Barclaycard Arena [NIA] in downtown Birmingham last night [Wednesday 27th May 2015]. 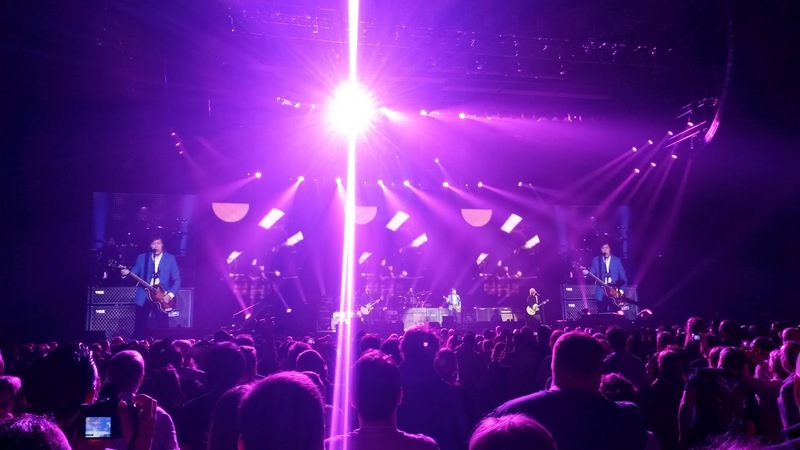 This was my first opportunity [some 25 rows away from the stage] to witness the legendary Beatle perform live in one of just four UK dates as part of his "Out There" world tour and my biggest gig in terms of attendance since Meat Loaf back in 1993. 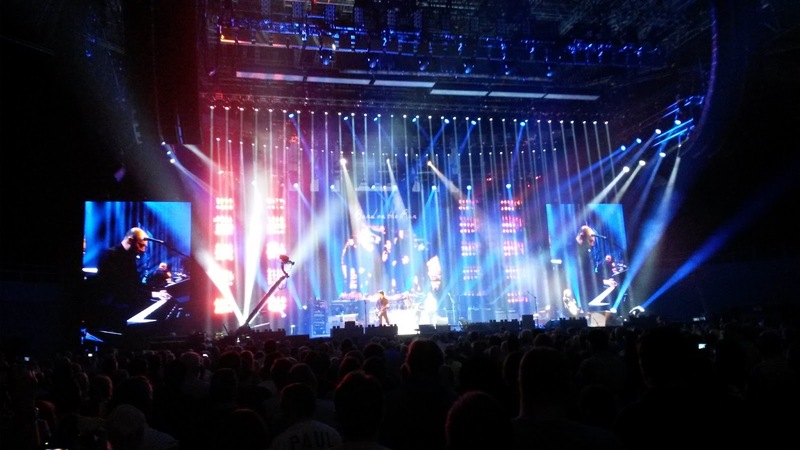 From the first chord of "Eight Days A Week" to the last note of "The End", this was a magnificent spectacle. 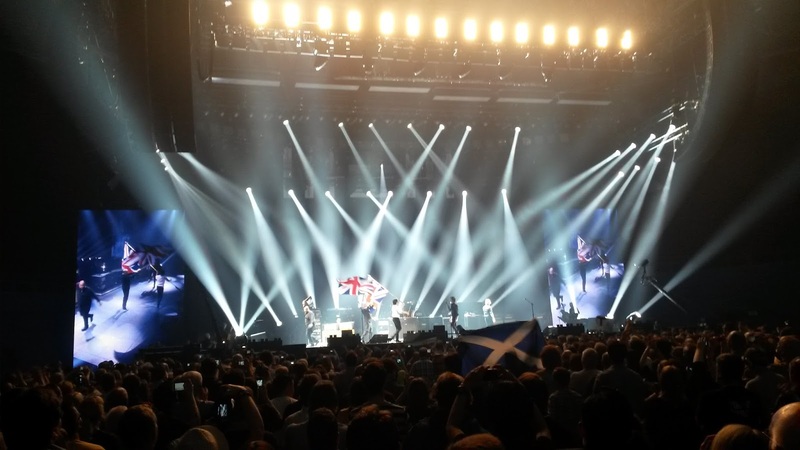 With barely a spare seat in a packed house just shy of 12,800 onlookers, the man affectionately called Sir Macca took all of us on a "Helter Skelter" of a ride through his career with The Beatles, Wings and his formidable solo catalogue. 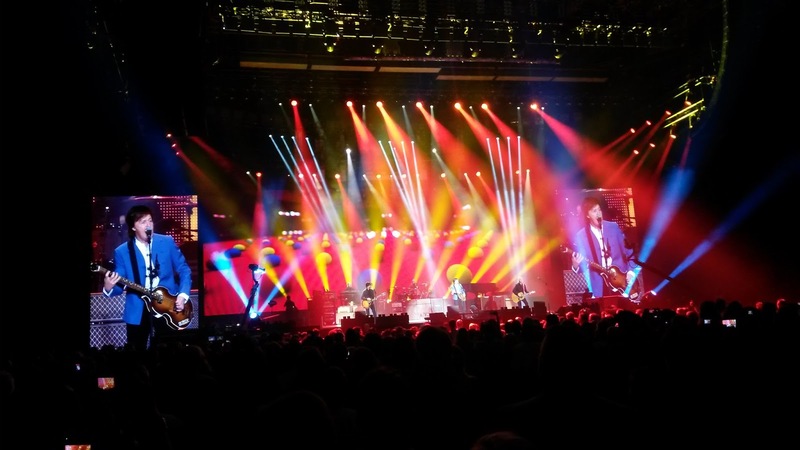 Macca blew away any concerns regarding his voice by regularly, hitting those high notes throughout the concert. In fact, he was confident, relaxed and witty in front of the adoring thousands all night long. There was something for everyone, be they the rocker, the romantic, the purist, the casual, the modern or the loyal fan. There was a lovely balance to the set list which saw the more recent songs from "New" intermingled with live rarity "Temporary Secretary" as well as the familiar in "Let It Be" and, of course, "Hey Jude". There were moments of awe. 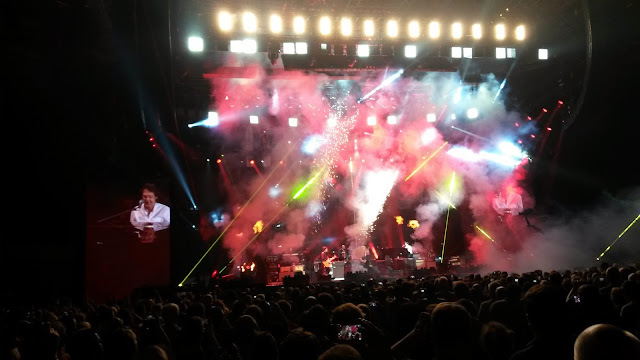 I could feel the heat [literally] as amazing pyrotechnics accompanied "Live And Let Die". There were moments of love as this original Beatle paid tribute to both Linda McCartney with "Maybe I'm Amazed" and current wife Nancy Shevell with "My Valentine". There were moments of jaw dropping class with a solo rendition of "Blackbird". There were emotional moments as Macca paid heartfelt tributes to both John Lennon with "Here Today" and George Harrison with "Something" - a song that started with a ukulele given to him by George [remember that George also gave one of his ukuleles to Jeff Lynne!]. There were moments of magic as I listened to Beatles and Wings classics by the man himself. And there moments of tears as I listened and watched faves such as "The Long And Winding Road", "Golden Slumbers" and "Carry That Weight" in person with my hair standing on end. This was a modern masterpiece in both song composition and performance. Set list: "Eight Days A Week" ~ "Save Us" ~ "Can't Buy Me Love" ~ "Listen To What The Man Said" ~ "Temporary Secretary" ~ "Let Me Roll It" ~ "Paperback Writer" ~ "My Valentine" ~ "1985" ~ "The Long And Winding Road" ~ "Maybe I'm Amazed" ~ "I've Just Seen A Face" ~ "We Can Work It Out" ~ "Another Day" ~ "Hope For The Future" ~ "And I Love Her" ~ "Blackbird" ~ "Here Today" ~ "New" ~ "Queenie Eye" ~ "Lady Madonna" ~ "All Together Now" ~ "Lovely Rita" ~ "Eleanor Rigby" ~ "Being For The Benefit Of Mr. Kite" ~ "Something" ~ "Ob-La-Di, Ob-La-Da" ~ "Band On The Run" ~ "Back In The USSR" ~ "Let It Be" ~ "Live And Let Die" ~ "Hey Jude" ~ Encore #1: "Another Girl" ~ "Hi, Hi, Hi" ~ "I Saw Her Standing There" ~ Encore #2: "Yesterday" ~ "Helter Skelter" ~ "Golden Slumbers" ~ "Carry That Weight"~ "The End"
ELO Beatles Forever [ELOBF] [naturally] recommends and endorses Paul McCartney to those enlightened folks who enjoy the music of: ELO, Jeff Lynne, Roy Wood, The Move, The Idle Race, 'Brum Beat', The Beatles and related artistes. Nice review! Glad you enjoyed macca! A very accurate review. It was a magical night . I was pleasantly surprised how good his voice still was . 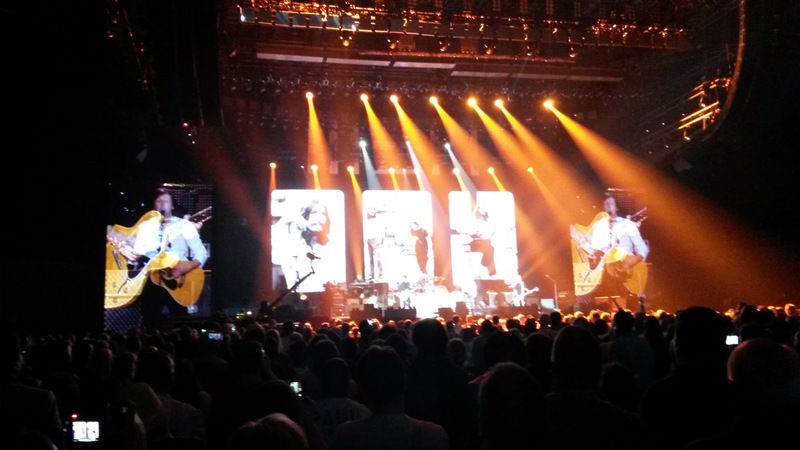 Golden Slumbers - Carry That Weight - The End was the perfect way to finish. Surprisingly Get Back was not in the set list.